Recently, a visiting group, composed of Jiangsu Province government officials, came to NYC to advertise Wuxi City. Hundreds of people have come to the investment seminar in Manhattan on May 20th. One official pointed out that economic indicators of Wuxi City have been dominating among big cities in China and is one of the most important economic centers. Wuxi City mainly focuses on developing service industry. The Wuxi visiting group signed intention letters in 8 programs which is worth 70 million dollar for constructing a hotel at Wuxi. The partner of Long and Cox Properties stated that the reason for choosing Wuxi is Wuxi is one of the most developed cities in China. The scenery there is attractive and beautiful. The purchasing demand for senior merchants and travelers is exuberant. 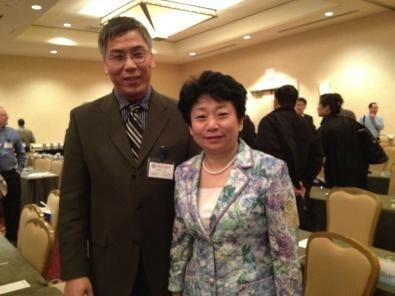 The visiting group announced the establishment of the U.S. Wuxi Chamber of Commerce of America. The new chamber will become a platform for cooperating with American business.